Laughter is one of the best ways to get people to bond with one another. Whether it's having a show with professional performers or getting your people to amuse one another, we have programs that can help you meet your goals. 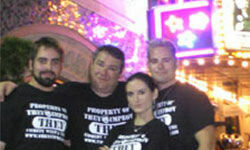 Find out how an improv comedy show can help with your Destination Team Building. Similar to TV's Whose Line Is It Anyway? our professional comedians interact with the audience to create comedy on the spot that can never be repeated. We have a range of optional performance pieces as well as the ability to mix in other elements, such as game shows. 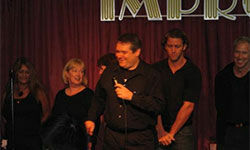 Improv comedy is a great choice because it can go anywhere and adapt to almost any situation. 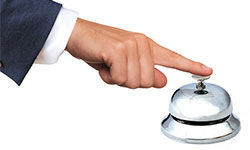 If you are in a non-traditional location, let us know and we can work to develop a program that makes you comfortable. 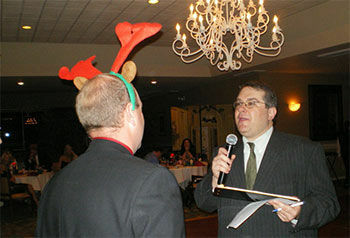 Our professional comedians can bring members of your staff on the stage and interact with them. This can get them to perform fun comedic pieces, such as in our Improv Is Magic show, or having them be the objects of our comedy. Contact us about how we can perform songs to your staff! More traditionally, we have a library of stand-up comedians, as well as sketch writers and performers, that can perform for your events. These can be people local to the area or could be brought in specifically for the needs of your team. We look forward to discussing the options with you to make this happen. 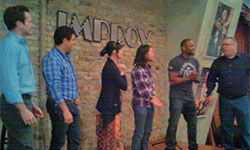 Improv classes are a great way to get your employees to work together and even to present shows for the staff. Our trainers can work to help make your managers the stars of the show! 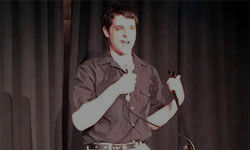 Improv comedy has long been a fan favorite. It creates comedic scenens on the spot and provides an experience that can never be repeated, even if we tried. Getting people to laugh is a great way to have Destination Team Building with THEY improv. 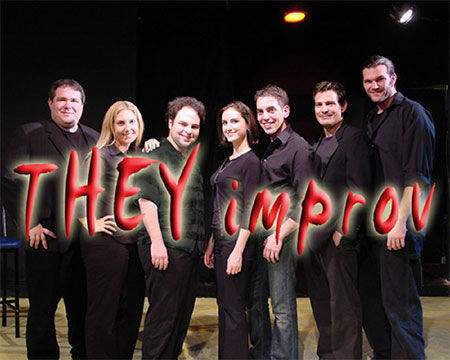 Improv Comedy has become fairly well known due to the TV show Whose Line Is It Anyway? This popular show has exposed new audiences to the dynamic formats and provided for a common language to discuss the nuances of performance. Sketch Comedy can be used to write material ahead of time for presentation in front of a group in the hopes of getting across a certain amount of information. Through presenting such ideas in a more comedic format, it can enhance the attention span of the audiences while extending information retention as well. The more traditional stand-up comedy formats are available with a library of comedians ready to ocme in and perform for your group! With a wide selection of options for shows and Emcees, we can help to entertain your group to get your employees to bond through a shared enjoyable experience. For your meetings and incentives events, we can help to entertain your groups to make them feel appreciated for having achieved their goals. "The comedians were amazing and we loved the show! Thank you so much for pulling it off. We are a company of 500 and I will definitely be spreading the word about them."